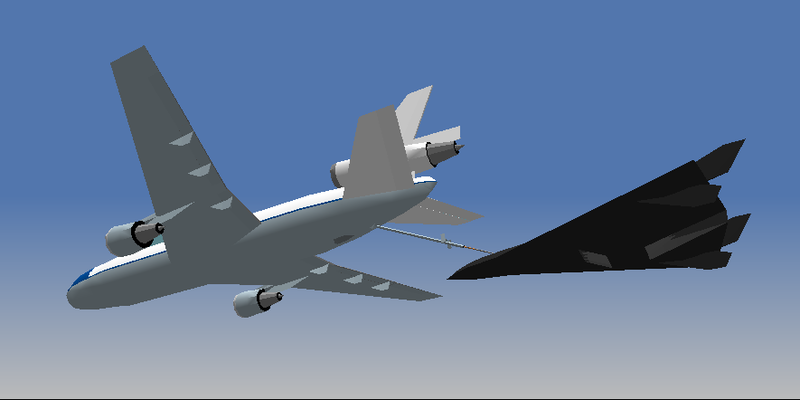 TerraStorm ADW is a YSFlight dedicated page that creates original and existing aircraft that utilizes low polygon models. The group, TerraStorm Aeronautics, started out back in 2010 in a limited form of simply personal repaints and basic modeling. After a few years of hiatus of aircraft and paint production, TerraStorm returned again in a limited form of personal and private releases. After a few more stops and production halts, TerraStorm was contacted by the owner from Project ADW, a previous group of development that ceased production for YSF. The owner transferred all ownership and assets to TerraStorm and is now in full custody of all models and works. TerraStorm Aeronautics merged with Project ADW's work and adapted techniques for model production and became TerraStorm Aerospace Development Works. TerraStorm ADW creates aircraft that are based on real or derivatives of existing designs but conform to the original aircraft specification. This includes real aircraft redesigned into unusual shapes or roles. Every production system starts from the very beginning in some form, and TSADW began merely as repainting and modifying aircraft for personal and private use. Most works were simple or minimal. TerraStorm creates aircraft that would not exist in any physical form or be only able to fly in a fictional setting brought to life by the YSF Engine. Designs vary from other known sources or constructed from the imagination.